Mesmerizing pulp fiction. There simply is no other way to describe the powerful impact of Detour, a low budget gem from Poverty Row Pictures. Truthfully, the movie shouldn’t work as well at it does. The direction is not as sharp as it could have been and the performances, outside of a few, are notoriously B-grade. Yet, the film and its tale of murder in this seedy, atmospheric world is remembered as pure, pulpy poetry. Regardless of how many days it was or wasn’t shot in, the film is a national treasure. 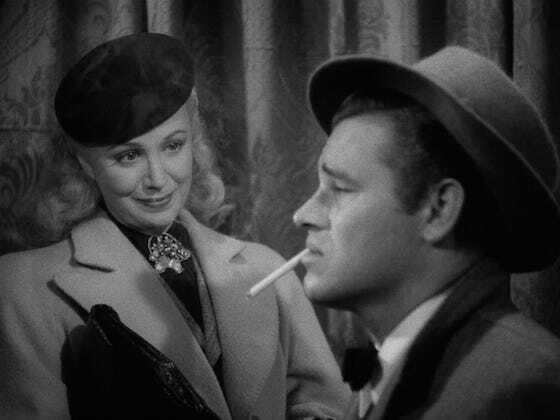 "the film and its tale of murder in this seedy, atmospheric world is remembered as pure, pulpy poetry"
Directed by Edgar G. Ulmer (The Black Cat) and starring Tom Neal and Ann Savage, Detour is a low budget masterpiece of film noir. It is a road movie, sure, but buried deep within its cinematic psyche is a film that waxes poetic about fatalism and the human condition. The film, because it is so damned impressive, has been selected for preservation in the United States National Film Registry and the Criterion Collection has now issued it on blu-ray with a fine set of supplemental material, all solidifying its importance as the go-to film noir film of the genre. Restored by the Academy Film Archive and The Film Foundation in collaboration with the Cinémathèque Française, Detour looks better than it ever has before. In this thrilling noir, Neal is a nightclub pianist who hits the road once his singing partner and girlfriend, Sue Harvey (Claudia Drake), ditches him and leaves for Hollywood Boulevard. Hitchhiking his way from New York, Al Roberts meets a lot of different souls. Most are not as down and out as he is. This includes bookie Charles Haskell, Jr. (Edmund MacDonald), who tells Al that he can ride with him all the way to L.A. because he’s going to bet on a horse. What happens instead is an unplanned death and Al, knowing that he will be blamed for the death, decides to ditch the body on the side of the road. And then he takes on Haskell’s identity. Big mistake. Because, when he picks up another hitchhiker, Vera (Savage), there will be Hell to pay for Haskell’s previous sins. In what goes down as a stunning performance from Savage, this cigarette-puffing femme fatale proves to be the end for all of Roberts’ travels. She knows Roberts isn’t Haskell and so she threatens to turn him into the cops. She takes every bit of money that Roberts has and then, when she spots a chance for them to make even more money off of Haskell’s untimely death, she pushes Roberts on with his charade. Which forces them to find a room in Hollywood and share some close quarters. Full of tension and atmospheric thrills, Detour is a white-knuckled ride through the darkest of days. It is spellbinding in its bargain basement production and, with a tight shooting script, manages to whittle every bit of unnecessary dialogue into a tight 69-minute thriller. Enjoy the last ride of Al Roberts. Tagline: He went searching for love... but Fate forced a DETOUR to Revelry... Violence... Mystery! Memorable Movie Quote: "Life's like a ball game. You gotta take a swing at whatever comes along before you find it's the ninth inning." Synopsis: As he hitchhikes his way from New York to Los Angeles, a down-on-his-luck nightclub pianist (Tom Neal) finds himself with a dead body on his hands and nowhere to run—a waking nightmare that goes from bad to worse when he picks up the most vicious femme fatale in cinema history, Ann Savage’s snarling, monstrously conniving drifter Vera. 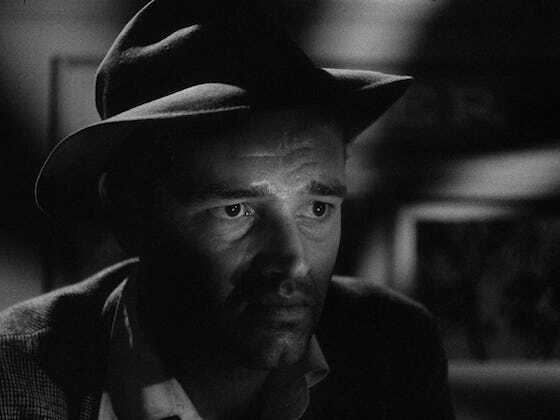 The Criterion Collection issues Detour in 1080p with a crisp transfer that handles the blacks and grays quite well. The 4K restoration, restored by the Academy Film Archive and The Film Foundation in collaboration with the Cinémathèque Française, with funding provided by the George Lucas Family Foundation, pulls out nice black levels and an even balance of the greys. Shadows, while not too terribly detailed, are thick and atmospheric throughout. Presented with an aspect ratio of 1.37:1, the film looks marvelous and easily beats the poor appearance on television and on home video DVD that has previously dogged it. The sound is presented in a solid DTS-HD Master Audio mono English track that is perfect for the film’s low budget demands. If the new 4K digital restoration, with uncompressed monaural soundtrack on the Blu-ray, is not enough to make you run out and scoop this one off the shelves, there are plenty of supplemental items to consider, too. 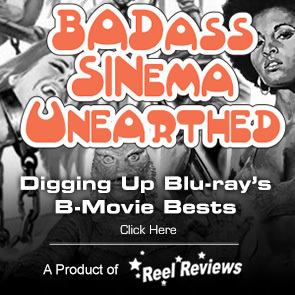 Included is a 2004 documentary featuring interviews with actor Ann Savage and filmmakers Roger Corman, Joe Dante, and Wim Wenders, a new interview with film scholar Noah Isenberg, a featurette covering the restoration of the film, and a theatrical trailer. As a plus, there is an essay by critic and poet Robert Polito included in the booklet that comes with the package.